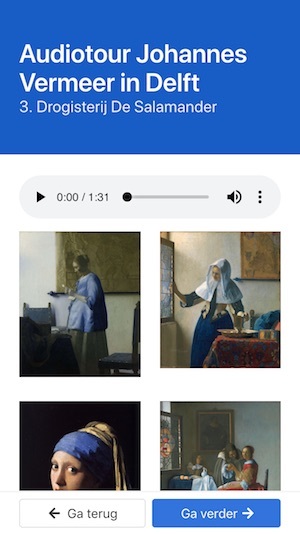 This Vermeer city walk audio tour takes you along special locations in Delft where master painter Johannes Vermeer lived, loved, painted and died way too young. 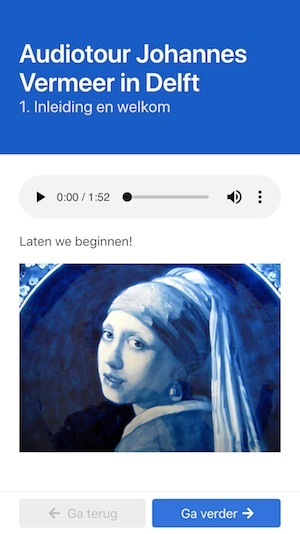 Your audio tour guide brings to life the painter and Delft as well with her colourful stories. While all Vermeer's paintings pass on your screen. You get acces to the audio tour on your own mobile phone. So don't forget your earphones or headphone. We'll be visiting hotspots like the Prinsenhof and Beestenmarkt. This audio tour is a vivid and lively experience! How to get access to the audio tour is quite simple. Go to the link: Buy the audiotour for € 3,75. Enter your e-mailadress and pay. After payment you receive a mail with the link to the audio tour. Please note: five days after payment the access key expires and you no longer have access to the audio tour. Payment methods: PayPal, Creditcard, iDEAL, SEPA Bank transfer, Giropay, SOFORT Banking, Bancontact, ING Home'Pay, Przelewy24. Hello visitors to Delft. 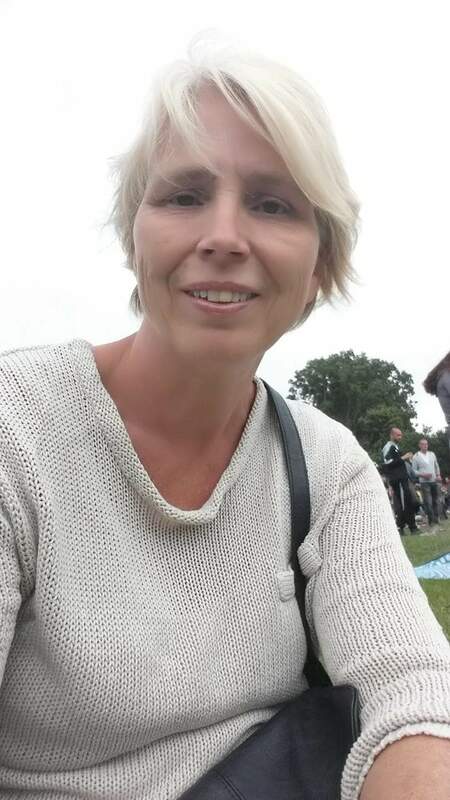 My name is Debby Scholten. 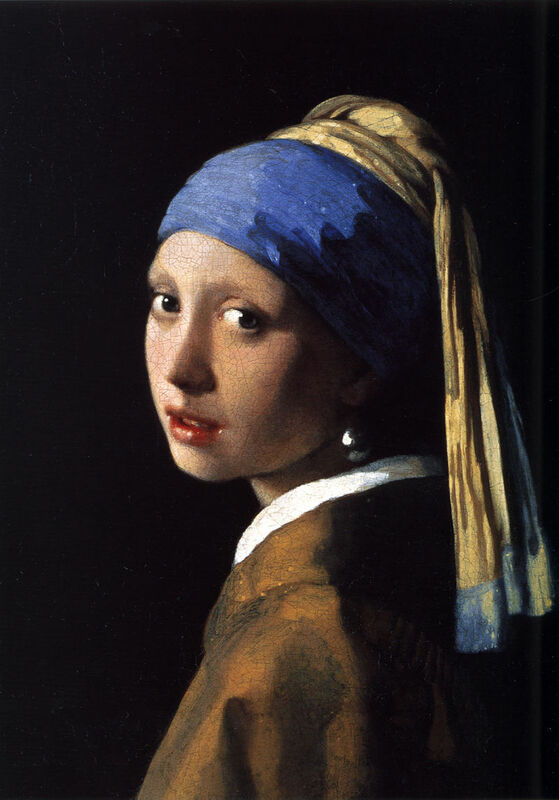 I am a huge fan of Johannes Vermeer and his paintings! They are so beautiful, brilliant and mysterious and they radiate such tranquility and light. Until recently I was a cityguide in Delft. I studied Journalism and I am a creative writer. 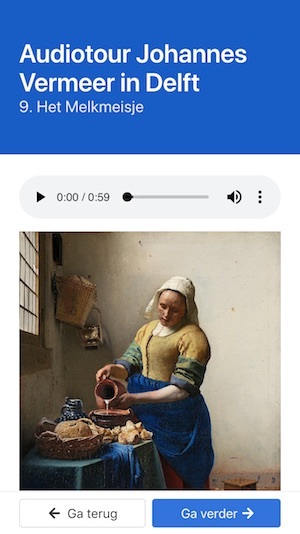 One day I came up with the idea to make an audio tour citywalk about Johannes Vermeer in Delft. And here we are! I hope you'll enjoy the freedom this audio tour provides! To take photos, have coffee or lunch on nice locations, dwell on a bench for a while. And get into the atmosfere of this great painter and Delft. Have a good time in Delft! Have a look at	Instagram and let me know if you enjoyed the audio tour!